The biggest advantage of hiring a professional relocation agent is that you know that your precious possessions will get from A to B safely without going via the rest of the alphabet along the way. It’s important to use a company that understands the logistics on both sides of the Atlantic. Professional movers and your relocation agent in London guarantee that you’ll be unpacking your object’s into your new London flat in a few days after arrival, and that includes signing the lease on your new London flat and opening a bank account. While it might seem easy just to shove a couple of t-shirts in a backpack and head off for a holiday, when you’re making an international relocation there are a number or steps that will have to take place before you’re settled in. Get professional movers in to pack your items. It may cost a bit more, but you’re assured that nothing will be broken en route to your new home. Your boxes will be taken to a storage facility in the US and be placed into crates and then transported to another facility and loaded into a container. Your container and crates and boxes (notice how complicated this is getting already?) will be taken to a dockyard to await shipment, by sea to the United Kingdom. Be aware that ships are not like airplanes with departures every hour. There may be quite a wait. 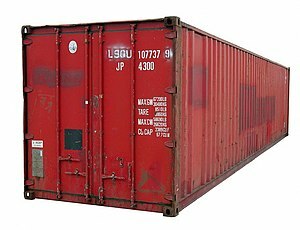 Once your container, (and crates and boxes) have made their way across the ocean they will have to clear customs in England. If there are any problems, you will be contacted by the Customs officials at this point. As soon as your container has been unpacked, your UK movers will advise you of the date of delivery to your new London apartment. This process can take a few weeks so to be really sure that you get settled as fast as possible, you will want to ship your belongings before you leave the States. The best way to make sure that you’re not living in a bare apartment for weeks waiting for a shipment is to ask your relocation agent in London to take care of the entire process.